On behalf of all the mentors at Hebrew Helpers, I want to wish you a wonderful season of light and celebration. We hope you will enjoy the helpful links below to Hanukah events around the city as well as materials for celebrating Channukah in your home. 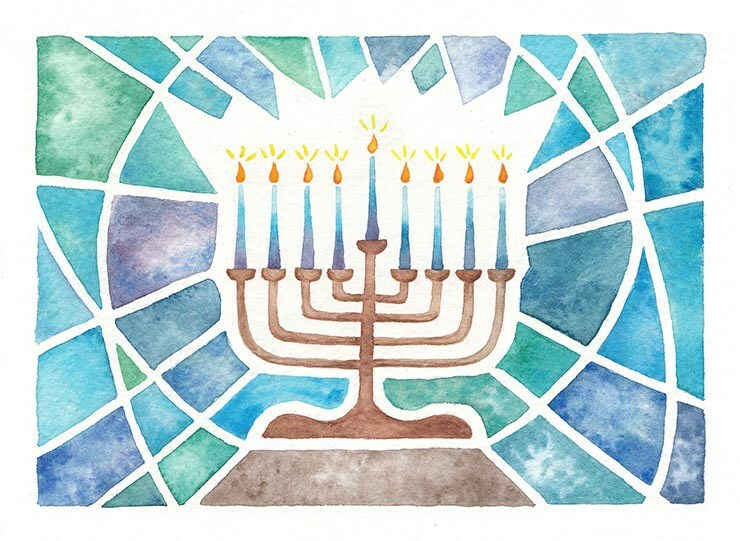 As we usher in the end of the secular calendar year, we can reflect on the literal meaning of the word Chanukah – “Rededication.” In the story of the Maccabees, we learn about how after a long-fought battle to reclaim their religious freedom, they rededicated the Beit HaMikdash, the Great Temple in Jerusalem. What is it we want to rededicate ourselves to in our own lives? What are those goals, aspirations and commitments we want to rededicate ourselves to in the New Year? I hope you will take a moment to consider this question and post a message on our Facebook page. We look forward to another year of learning together! Chag Sameach – Happy Holidays! P.S. How do you spell Hannukka? I tried to spell it all 12 ways throughout the newsletter! Here is a great traditional Latke recipe. 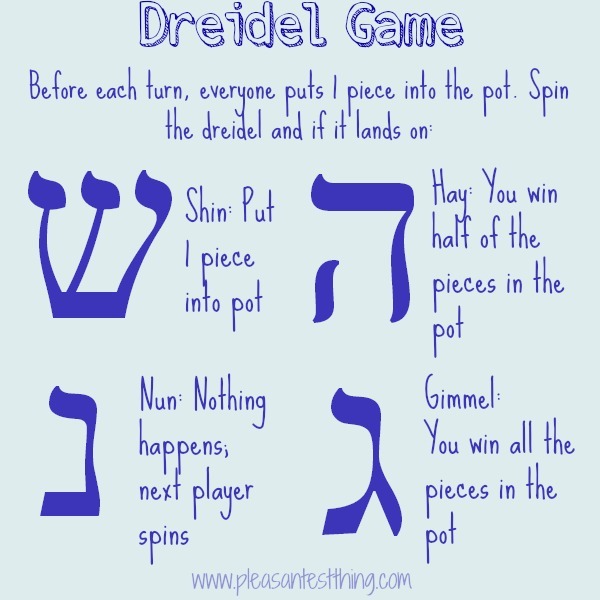 Dreidel Rules!!! Don’t worry, we don’t remember them either. This new parody by 613 will definitely get you in the mood for Hannuka! 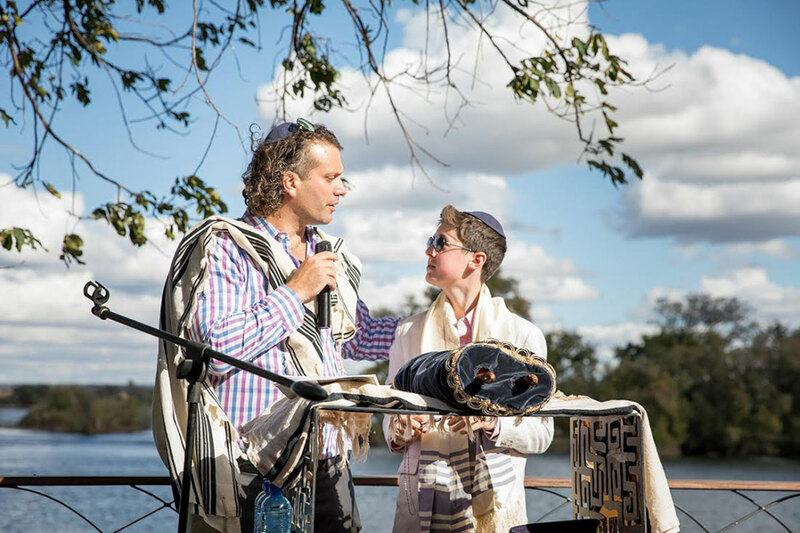 Nachum Peterseil officiates a beautiful service in Zimbabwe where Mikki Wulfsohn became a bar mitzvah. Mazel Tov to our students on becoming Bar/Bat Mitzvah in June, July, August, September, October, and November.